I prepared the Ideal Protein Plain Rotini per the instructions - 10 minutes in boiling water. The idea of having pasta while on a low card diet is amazing, as is the taste of the rotini. I find it very similar to whole wheat pasta. The portion size is not huge, but enough to be satisfying. 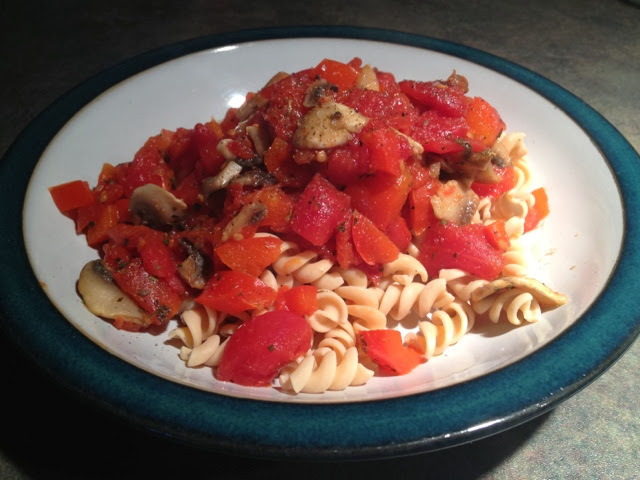 I've had the rotini with sauce made with peppers, mushrooms, fire-roasted tomatoes (like the picture shows). I've also added ground beef, pieces of chicken, or meatballs. I often make two packets and save half for the next day. It reheats beautifully in the microwave. I've also had the pasta cold, with some Walden Farms salad dressing, and veggies such as cucumber, peppers, celery. I love the rotini, it's versatility, it's taste, and it's texture. Highly recommended!